Relocating….and living in a camper? My husband and I will be relocating to South Carolina, just outside of Greenville. 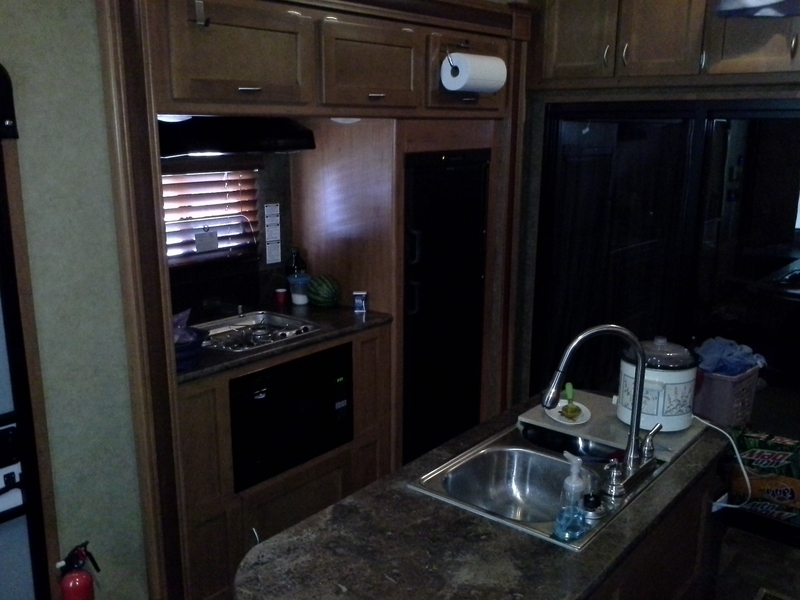 Meanwhile, we are living out of our barbecue competition trailer. My kitchen is tiny. It has been difficult to plan meals, like I am accustom to, in such a reduced amount of space. I have 3 burners and my pans are too large to use multiple burners simultaneously, making spaghetti proved to be a challenge. My crock pot will become my best friend. Tonight, it is my husband, Doug’s chili recipe – of which he won a chili cook off competition – this chili has CANNED beans – LOTS of CANNED beans – we feel good chili has to have beans, despite many competitions rules. Served with saltines and a sprinkling of cheddar cheese, along with a cold beer, it will sure to please…. Difficulty level for the camper…EASY…a functioning can opener, browned ground beef and my 2 best tools, MY HANDS were all it took for this one pot meal. I am sorry I cannot divulge his recipe, since it won first place several years ago…but I digress….devising good dinners will prove to be almost impossible, so I welcome suggestions and recipes….